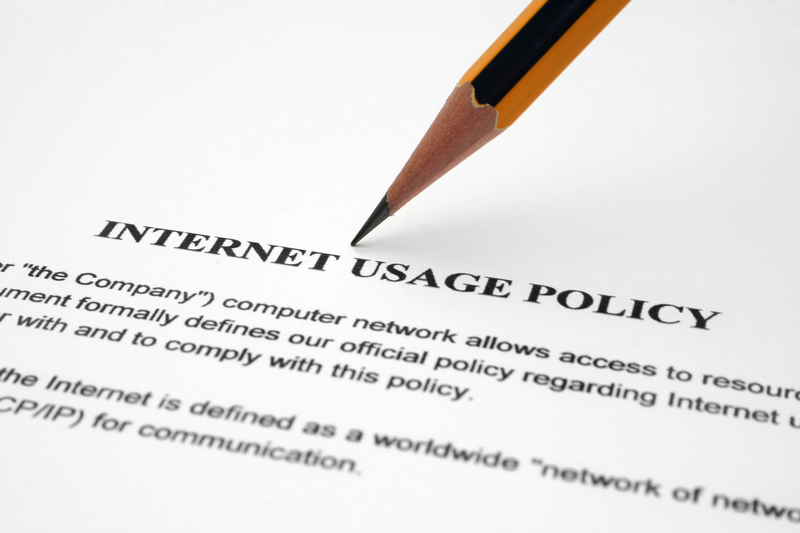 Acceptable Use Policies (AUPs) are put in place by school districts as a way to ensure that the school network and technology are being used in the manner in which they were intended. The policy is often linked on school websites and is easily accessible. Some schools have it as a stand-alone document while others embed it in their general Code of Conduct. However the district presents it, most require both students and parents to sign the document stating that they have read the material and understand it. According to the Consortium for School Networking, Acceptable Use Policies have two main foci: protect and provide. AUPs should “protect students from harmful content on the Internet and regulate students use of the Internet, so they do not harm other students or interfere with the school’s instructional program and provide students with good access to digital media to support engaged learning” (2013). AUPs are also a form of protection for the district itself. An effective AUP should include, per the National Education Association, a preamble, definitions, a statement of policy, acceptable and unacceptable uses and a violations/sanctions section (as cited in “Getting Started,” n.d.). At a minimum, a good AUP should include the district’s goals, what the acceptable uses are and also the unacceptable uses of the given technology. Definitions should be included to ensure clarity and understanding, and consequences for violations should also be clear. In researching different AUPs from local districts, I found a wide range of policies and documents. Some are very short and lacked any real specificity, outlining the policies and uses in broad strokes. Others are very detailed and lengthy, which everything spelled out very distinctly. Both of these types of AUPs are concerning for very different reasons. If an AUP is too short or is missing some of the sections, such as definitions of terms, it leaves itself open to personal interpretation, resulting in less protection for everyone involved. However, if it is too lengthy and detailed, the district runs the risk of people signing the document without reading it thoroughly, if at all, much like those pages of small print that credit card companies send to users. This can also result in less protection, as end users will not know what is acceptable use and what is not. There was an occurrence in a local district last year involving a custody battle. The student had written a diary of sorts using a Google Doc on the school server. The parent and lawyer demanded the school turn over the documents. The AUP states very clearly that all material created and saved on the school server is school property and as such, is accessible by the district. The student and parent both signed the document but the student did not read it. After consulting with the district attorneys, the school agreed to provide the requested material. It is a fine balance to write an AUP that includes all the necessary information, without being so long and wordy that the majority of users will not read it in its entirety. My district’s AUP is mailed home to students and parents before the start of each school year. Both must sign it before the student is allowed to access the Internet on the school network, using school devices. As a special education teacher, my concern is that my students are being given this policy, and they are signing it, most without having read any of it. Those that do make an attempt to read it, often do not understand the ramifications of what they have read, if indeed, they can process the material at all. If a student requires tests to be read to them, important documents such as this should also be read to them, with someone from the school checking to ensure that they understand the material and what their signature represents. It is not enough to send it home for a signature. We need to find a way to ensure that the information is processed and understood. This could happen when our Chromebooks are issued in the fall, or during the first week of class. However we implement this, it must be mandatory, for both the students’ protection and that of the district. Consortium for School Networking. (2013). Rethinking acceptable use policies to enable digital learning: A guide for school districts. Washington, DC. This entry was posted in edtech 541 and tagged AUP, edtech 541. The topic this week is the integration of multimedia in the classroom. It seems only fitting that the blog is actually a vlog. This video presented a huge challenge. I did not want to be a talking head but I have never created a video with images inserted into it. With the help of my daughter, a talented artist and musician, I was able to create my video using iMovie. It turned out to be pretty simple, giving me another tool I can use with my students. This entry was posted in edtech 541 and tagged edtech 541, multimedia. The basic suite is a group of programs comprised of a word processor, a spreadsheet, and a presentation program. They can be used together or as separate components, which adds to their versatility. There are several suites one can choose from including iWork from Apple, Microsoft Office, Open Office and Google Docs. Educators integrate these into their classrooms for many reasons. They are easy to use, enhance instruction, promote collaboration and allow students to become familiar with technology that is common in the workplace. Word processors allow for the creation of professional-looking documents that include both text and graphics. They are possibly the most widely used technology in today’s classrooms because they work well in all subject areas and can easily be adapted for students with disabilities. 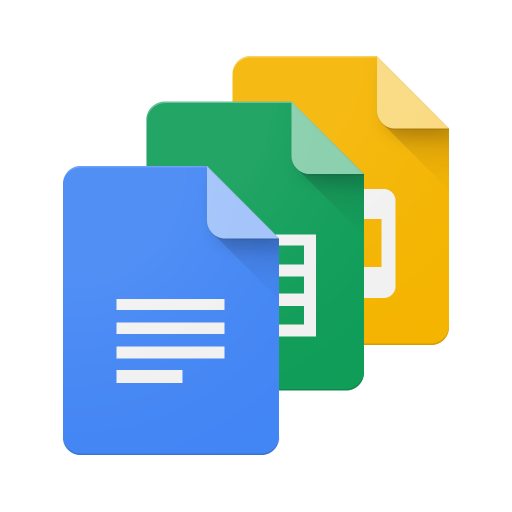 Google Docs allows for sharing and collaboration by both students and teachers, which has changed the entire process of writing. Drafts are now ongoing, as shared documents are easy to edit and revise based on teacher input and comments placed directly into the document (Roblyer, 2016). Students with physical disabilities can access word processing programs through adaptive keyboards or voice recognition, allowing them a level of independence not formerly attainable. Word processing is a common accommodation on IEPs. It allows students with poor handwriting or spelling skills to complete written assignments on the computer instead of using pen and paper. This is much preferred over the old accommodation of a scribe, as it gives the student more autonomy in the assignment, and saves time. Word processing applications can be difficult to use in the math classroom. Journaling, creating word problems and working with vocabulary are all ways that they can be integrated into mathematics. While there are ways to create equations in these programs, it is too time-consuming to write and solve equations on the computer. In this instance, pencil and paper outperform technology. Spreadsheet applications are used extensively in math education because their main function is to “organize and manipulate numerical data” (Roblyer, 2016 p.121). Many teachers use them as grade books and to create lesson plans. All spreadsheets include formulas, making it easy to perform calculations. Ease of editing allows both teachers and students to change scenarios to see the impact of changes in a given mathematical scenario. “By answering ‘what if’ questions in a highly graphic format, spreadsheets help teachers encourage logical thinking, develop organizational skills, and promote problem solving” (Roblyer, 2016 p.124). The ability to take large groups of data and create charts or graphs within the spreadsheet application not only saves time but gives students a visual way to look at numbers. This is especially useful for students with disabilities, as it allows them to make connections that would have gone unnoticed in the past. Organization and application skills, two areas with which many of these students struggle, are greatly enhanced when spreadsheet applications are used in the classroom. According to Roblyer (2016), the biggest issue that teachers confront when implementing spreadsheets in the classroom is students’ fear of math (p.123). Playing with and processing numbers are much scarier than with words. This is something math teachers deal with on a daily basis, which may be another reason for their widespread use in mathematics. To borrow from Dan Meyer, they are seen as the pill to the headache that math can create. Presentation software is used mainly as a support for speakers during a presentation. Microsoft Powerpoint is arguably the most well-known of these programs, in fact, “the name PowerPoint is often used interchangeably with presentation software, much as the brand Kleenex is often used instead of facial tissue” (Roblyer, 2016 p.125). Presentation software is often used incorrectly, leading to the opposite effect of what was intended. Many presenters overuse words and bullets on the slides leading to a disconnect in the audience as they focus on what the slide says versus what the speaker is saying. According to Roblyer (2016), “using presentation software effectively requires substantial background in specific pedagogical and visual design principles” (p. 127). Many presenters read their slides to the audience, leading to disengagement, and often irritation. A good rule of thumb when creating slides is that they should not make sense without the speakers words. A well-developed presentation gives visual learners the ability to assimilate verbal information, leading to deeper levels of understanding. Presentation software in the math classroom can be hit or miss. There are many tutorials available that use this type of software, some effective and some not. It can be difficult and time-consuming to create slides with math concepts, but there are add-ons and workarounds to help with this. LaTeX is one such program, but the learning curve can be daunting. I use slides a lot in my classroom. If I have an instruction for my students to follow at the start of class, I will project a slide on the board with a list of what they will need such as glue sticks, scissors, and their interactive notebooks. This helps save time and is very quick to put together. Warm up problems are also placed on slides and projected at the start of class. Using the camera feature in a PDF program allows me to take a picture of a problem and insert it into a slide. Throw in a background and a graphic and the warm up is ready to go. Google Slides allows presentations to be shared and encourages collaboration. I have had groups of students create slides showing what they have learned about a topic, or as a way to teach a topic to their peers in a jigsaw type of activity. A future goal for my classes is to put my tests on slides, with each question on a separate slide. It can be difficult to administer tests to special education students as their disabilities dictate how and where they are tested. A single test for my students can involve three staff members and three locations. By creating a test in presentation software, it can then be uploaded to a program like VoiceThread, allowing me to narrate each slide. Students can take the test in the same room as their peers, listening to the slides with headphones and pausing and rewinding as needed. While this can be time-consuming, and is not feasible for state tests, the relative advantage is high enough for me to add this to my list of things to try. Basic Suite software packages have changed a lot since they were first developed. The ability to share and collaborate within these programs from anywhere in the world has increased the usability and relative advantages in the classroom. As students enter the workforce, their knowledge of and familiarity with these products will make that transition easier. This entry was posted in edtech 541 and tagged edtech 541.